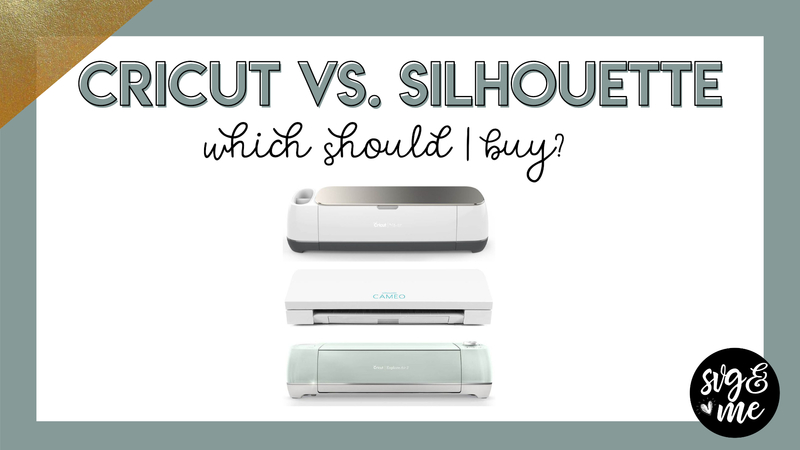 Cricut vs. Silhouette Review: Which Should I Buy? I did a TON of research and I am sharing all I learned below in a summarized version that is quick and to the point. Personally, I hate 2000 word reviews that when I finally get to the bottom the only answer they offer is, it depends. That’s why I decided to create the type of review I would want to read when I was deciding between the Cricut vs. Silhouette cutting machines. You can typically find both the Silhouette Cameo 3 and the Cricut Explore Air 2 on sale for about $200. The Cricut Maker is the most recent version with the best cutting power and exciting new tools like the knife and rotary blades that cut difficult materials like felt and leather beautifully. The Cricut Maker is usually on sale for about $350. Read more about the differences between the Cricut Maker vs. Explore Air 2 here. 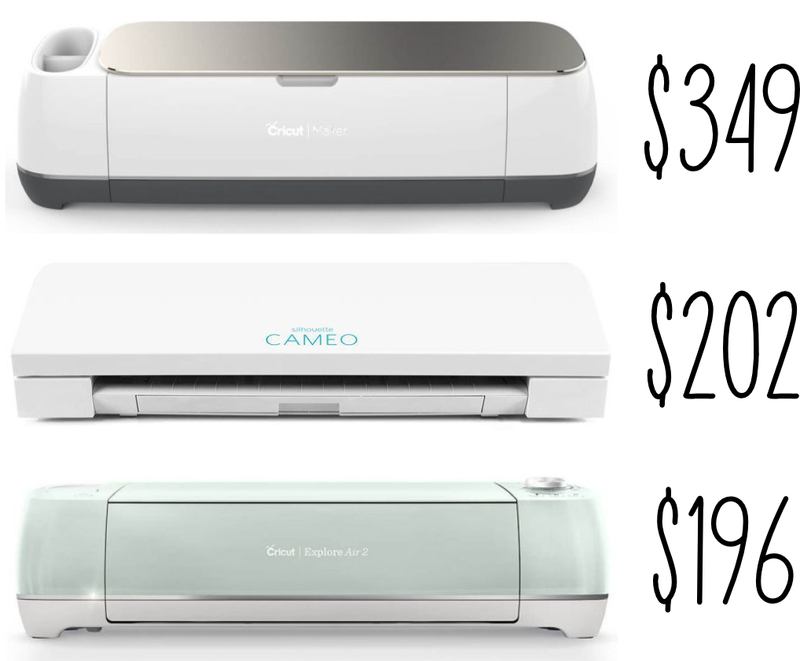 Verdict: Silhouette Cameo 3 and Cricut Explore Air 2 are priced similarly. Cricut Maker is more expensive (due to more features). Please note that these prices are based on sale prices available at the time of writing, which may change over time. What does this mean? With the Cricut, you will have so many more options when it comes to the materials you can cut and the quality of the cuts will be so much cleaner! This is a KEY factor in deciding which to buy. Verdict: Cricut wins hands down! Cost: both Cricut Design Space and Silhouette Studio are free to use, but almost all Silhouette users will want to at least upgrade to Designer Edition (about $29) in order to be able to upload their own SVG files (like you can get for free in our library). Ease of Use: Cricut Design Space is more user-friendly and is much easier to learn so you can get started using your machine quicker. Designing Capabilities: Silhouette Studio is a more powerful design program compared to Design Space. 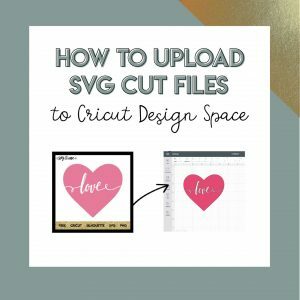 Cricut Design Space is great for simple designs or preparing your designs to cut, but it is not powerful enough for creating extensive custom designs. Want to see for yourself? I highly recommend that before purchasing a machine, you download Silhouette Studio (Basic Edition is free) and sign up for a free Design Space account. Test them out for yourself and see which you prefer. Verdict: Cricut Design Space is more user-friendly and has a much lower learning curve. Silhouette Studio is more powerful but can be intimidating for beginners. I would recommend buying a Cricut because it is hands down the more powerful cutting machine and it will be much easier to get started using it’s software. Then, once you are comfortable and ready to start creating your own designs, learn how to use Inkscape (a free design software compatible with Mac and PC computers). By the way, you know I fully stand behind this recommendation because this is exactly what I did and what I would recommend my best friend do. Want to learn more about using Inkscape? 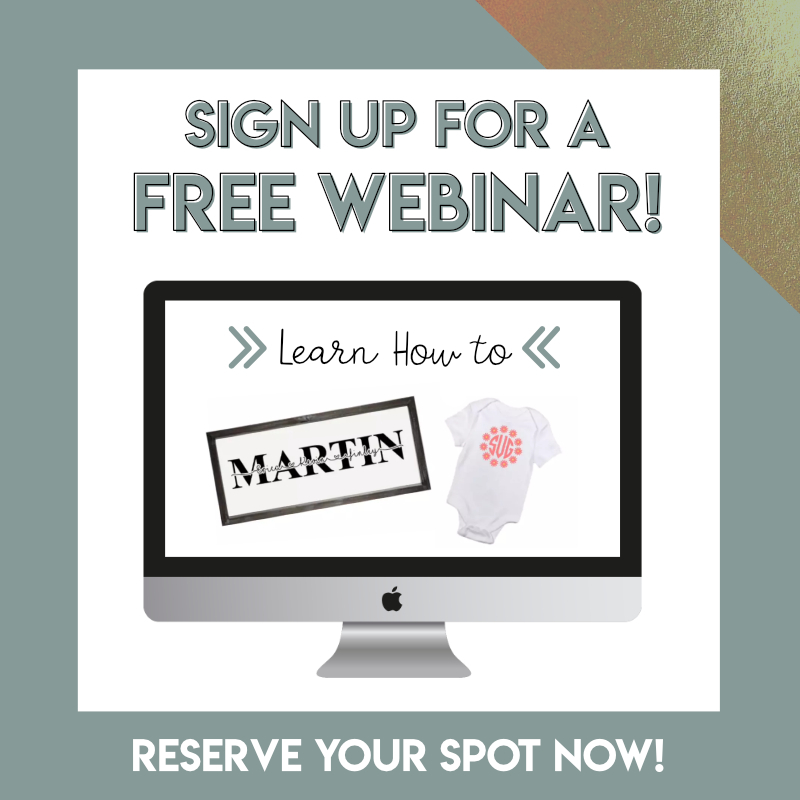 Sign up for our free training webinar! The only exceptions I would make to this verdict are if you are primarily only working with embroidery files or cutting extra large vinyl pieces greater than 2 ft long. In those instances, a Silhouette may be the best cutting machine for you. Not sure which Cricut is right for you? Check out our Cricut Maker vs. Air 2 Comparison here. I just read your Cricut vs. Silhouette Review. I am trying to decide between the two. I want to make my own designs eventually. Isn’t there a monthly fee for the cricut software ? I thought I read that somewhere. I watched your Inkscape webinar. Thank you! I had no idea there was anything out there like that. No, the only monthly fee is if you subscribe to Cricut Access to get access to all their premade projects and designs to use. However, that is not required and the basic features of Design Space are completely free.